Grilling is arguably the best part about tailgating parties. Bringing your own wings, ribs, hotdogs, or hamburgers to grill up from the back of your truck or SUV is a must for the ultimate tailgating experience. The type of grill you use, however, is important. You must choose one that’s portable and easy to move, but that’s also the right size and type. It also has to be safe and legal for tail-gating. Here’s what you need to know to choose the right tailgating grill for you. Heating up quickly, electric grills are a convenient and fast option. Electric grills are often con-sidered more environmentally friendly as they do not release any noxious substances in the air. They are also a great option for the health conscious, melting up to 40% of the fat away. The downside to using an electric grill is the lack of that authentic smoky flavor you get with other grilling methods. For tailgating, you will need to make sure that you have a power source or gen-erator in order to use your electric grill. You can’t beat the taste of food grilled over an open flame, making charcoal grills a top choice for your tailgate party. While you won’t need a power source for this option, you will need to make sure you have plenty of space to safely avoid fire dangers. Make sure you have enough charcoal on hand to bring to your tailgate, as well as newspaper and matches or lighters. The charcoal can take 20-30 minutes to heat up and be ready for grilling, so plan on extra time. But the wait is well worth it for the flavor. For anyone that wants it all when it comes to grilling, many options exist that combine the best of both worlds. Meco has many great grill options that convert from electric to charcoal, depending on what you need. 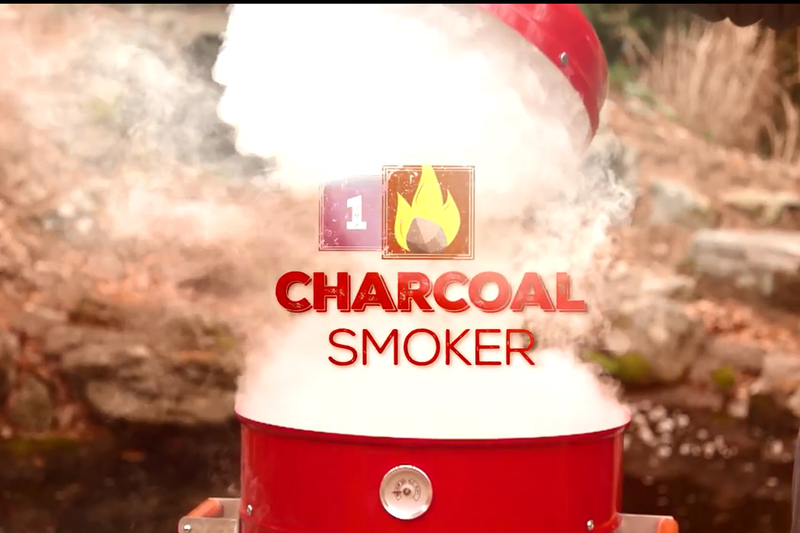 The Americana 4-in-1 model offers the best of both worlds, and includes a smoker as well! With this option, you can make one purchase that fits all of your grilling needs.